Our Two Tone Channel Set Princess Cut Cubic Zirconia Wedding Band features a single line of channel set princess cut square cubic zirconia. 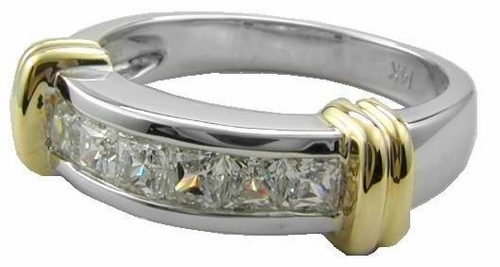 This two tone wedding band features 1 carat in total carat weight of channel set princess cut cz. 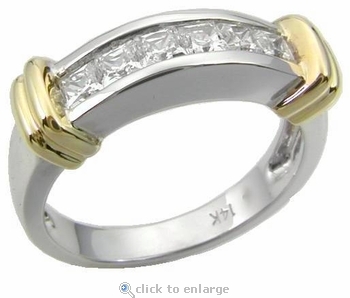 The solid 14k white gold mounting is further enhanced by two gold bands in a contrasting look with 14k yellow gold. 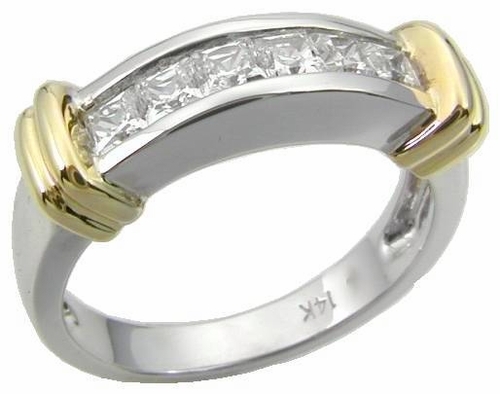 We offer a similar solitaire engagement ring that customers have chosen to compliment this band, please see item R1704. Due to extremely low pricing, all clearance sales are final.